Beijing: China is closely following France's presidential election, but web users appear less interested in the politics than the unusual marriage between moderate candidate Emmanuel Macron and his former teacher. Comparisons with the characters of a popular Chinese television drama called "In the Name of the People" -- which also happens to be the slogan of French far-right candidate Marine Le Pen -- have flooded China's Twitter-like Weibo. The main villain of the ripped-from-the-headlines show, which follows the exploits of an anti-corruption squad tackling graft at the highest levels of government, is a dodgy official who marries a woman 10 years his senior in a bid for power. Posts using a hashtag about the French politician's much-discussed marriage -- which translates into English as "Marrying his teacher 24 years his senior" -- have been viewed more than nine million times on the social media site. 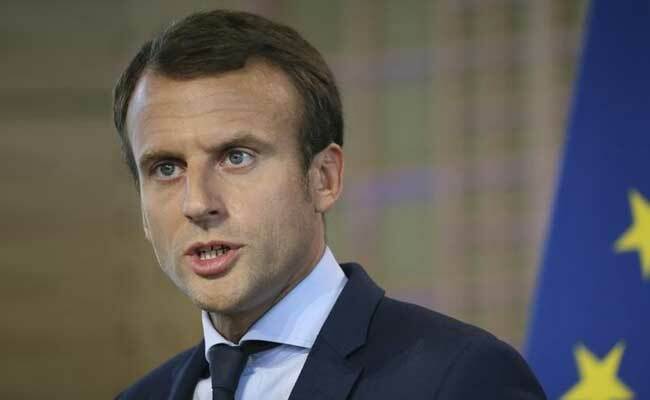 Despite the seemingly unfavourable comparison to a corrupt official, social media commenters have been largely supportive of 39-year-old Macron's relationship with his 64-year-old wife Brigitte.